How Much Cargo Can the 2019 Honda HR-V Fit Inside? Home » Honda HR-V » How Much Cargo Can the 2019 Honda HR-V Fit Inside? When you need flexible interior space but don’t want to sacrifice any efficiency then you need the 2019 Honda HR-V. The 2019 Honda HR-V offers a sleek and sporty exterior style, accommodating cargo and passenger space as well as a powerful and economical engine under the hood. Streaking body lines start in the front fascia and flow across the 2019 HR-V culminating in the rear upper spoiler and they give the Honda HR-V an athletic and aerodynamic exterior allure. Inside the cockpit you will find advanced technology and safety equipment that is certain to keep all occupants safe and sound along the drive across town or across the country. Get the all of the interior dimensions of the 2019 Honda HR-V right here below. All five trim levels of the 2019 Honda HR-V have spacious seating for five people and the LX and Sport trim levels provide 100.1 cubic feet of overall passenger volume while the EX, EX-L, and Touring trims have 96.1 cubic feet of passenger space. The 2019 Honda HR-V LX and Sport trim levels give front row passengers 39.5” of headroom and 41.2” of legroom and second-row riders receive 38.3” of headroom and 39.3” of legroom. Inside the EX, EX-L, and Touring trim levels there is 37.6” of headroom and 41.2” of legroom for the driver and front passenger and in the second row there is 38.3” of headroom and 39.3” of legroom. Trade-Up to the 2019 Honda HR-VA standard 60/40 split folding 2nd-Row Magic Seat® allows the 2019 Honda HR-V to easily and quickly expand upon its 24.3 cubic feet of dedicated cargo space behind the second-row seat. With the second-row seat folded flat the 2019 Honda HR-V can hold up to 58.8 cubic feet of cargo. When the 2019 Honda HR-V gets equipped with available All-Wheel Drive its cargo area takes a hit and can only handle 23.2 cubic feet behind the 2nd-row seat and 57.6 cubic feet with the rear seat folded flat. 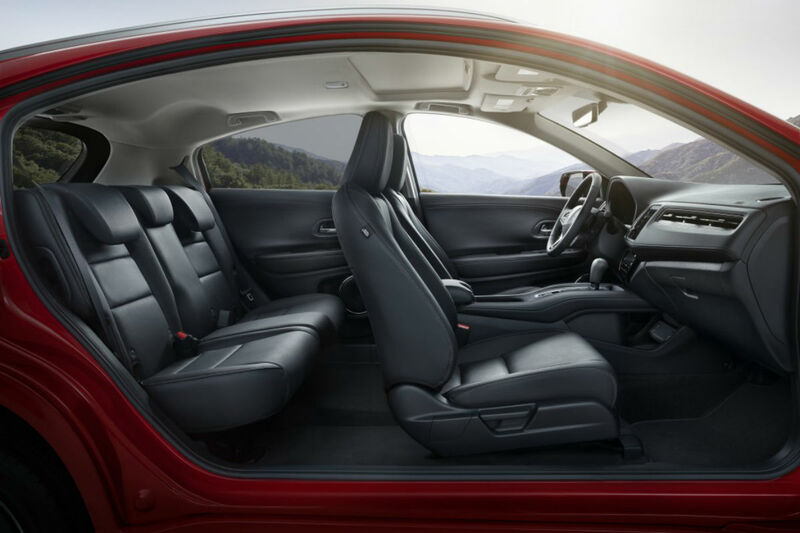 Upgrade to the EX-L or Touring trim levels of the 2019 Honda HR-V and the interior gets adorned with Leather-Trimmed seats as well as heated front seats. 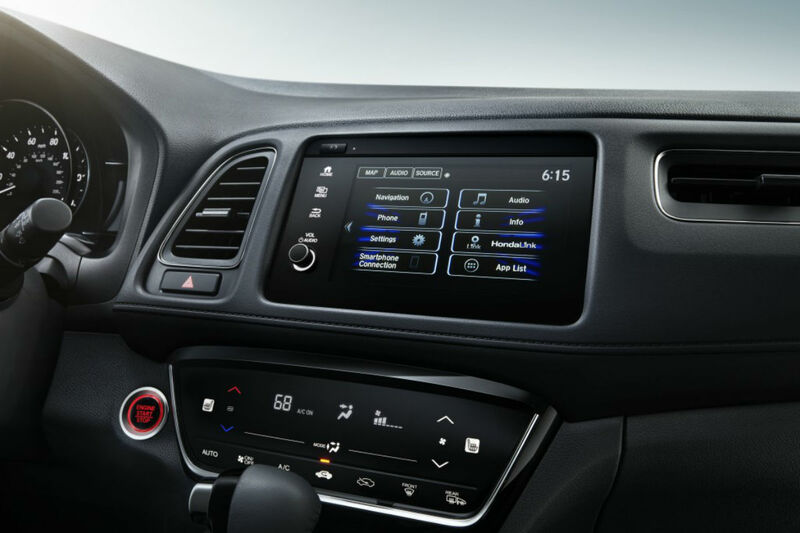 Take the 2019 Honda HR-V for a test drive today at Van’s Honda in Green Bay, WI and experience all of its exciting interior features for yourself. What are the Interior Space Specs for the 2019 Honda Fit? How Many People & Packages Can I Fit in the 2019 Honda Passport? 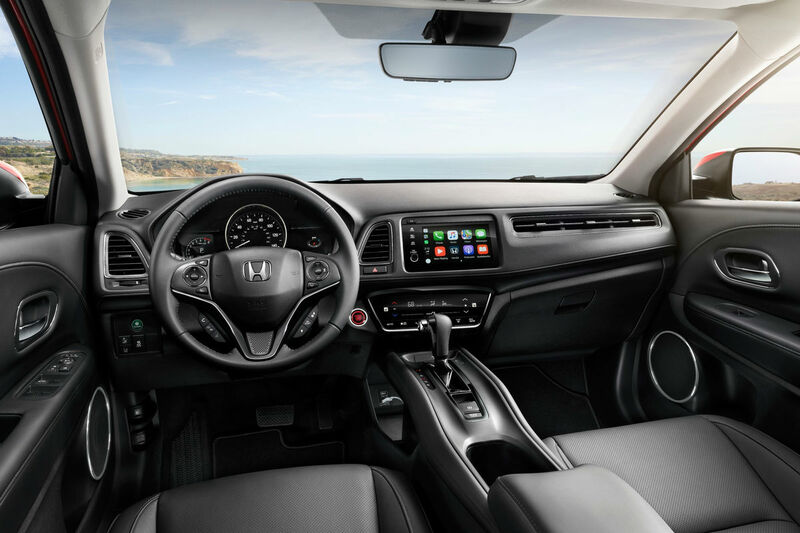 What is the Seating Capacity for the 2019 Honda Ridgeline? What are the Technology & Safety Features for the 2019 Honda HR-V? This entry was posted on Wednesday, August 8th, 2018 at 2:30 pm	and is filed under Honda HR-V, Passenger & Cargo Space. You can follow any responses to this entry through the RSS 2.0 feed. You can skip to the end and leave a response. Pinging is currently not allowed. How Many Exterior Colors are There for the 2019 Honda Insight?